On 14th of April 2016 a very interesting thing occurred. CySEC sent a circular to all of it’s regulated brokers, in which they mentioned, among other things, four basic rules every broker has to obey from now on. The rules are namely new regulatory conditions, quoted prices, the sale of options and short-term options. The server Finance Magnates informed about it in its article, which carries a fitting name “CySEC’s new regulations will drastically change the binary options platform,” and so did the CySEC official website (the entire broadcast is here). So let’s look at it more closely. New requirements issued by CySEC change the approach to our brokers and their clients a little. Under these requirements, the binary brokers must provide all traders with adequate information and explanation of binary options, explain all risks included and change their approach, so that the business is fair for traders. Although this is common sense, not all brokers act according these rules. If you want to gamble, why don’t you play casino games? Newly CySEC has also mentioned that it expects a smooth display of current prices updated every second. The price will, therefore, have to be updated frequently so we, traders, always know where we stand. As you can read in the circular, platforms will also have to provide charts which are accurate, easily readable and understandable for the average trader. However, I think, that most brokers don’t need to worry about it. Charts on the SpotOption platform, which is probably offered by the most brokers (eg. optiontrade or Banc de Binary) are understandable and clear in my opinion. Out of all the new rules, I like this the most. Every trader should now be able to sell any purchased option within few seconds after buying it – thus canceling the trade. With 100% payout, without loss. Actually, I know that TopOption has already implemented this feature. This option comes in handy if the trader misclicks and confirms the trade of the wrong asset, or the wrong amount. And I must admit – this happens to me sometimes and I’ll bet my shoes I’m not alone. 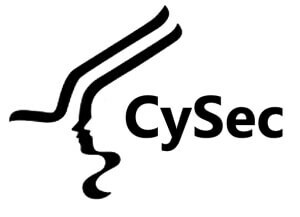 🙂 I believe that these changes will be a big improvement and I applaud CySEC. What is your opinion on these changes?